So here we are…it’s not even the end of August yet and we’re already talking about the holidays. Now’s the time, though, to be having this discussion, because if you’re an online seller, and you want to make sure that everything goes smoothly this holiday season, this is the time to start planning ahead. For online merchants, the holidays are a time that can represent over half of their total annual sales. It’s a crucial time of the year, and there’s a lot that goes into holiday preparation, from marketing plans, to sales forecasting, to getting ready for increased demands relative to supplies and order fulfillment. So here are 5 things you can do, as an eCommerce seller, to help prevent you from having a patchy head come January because of all the hair you’ve ripped out. As you’re planning for the 2012 holiday season, the first thing to do is look at your sales from last year, including which channels they came from, which products sold, and what percentage were from new vs. repeat customers. Once you have the data on last year’s holiday sales figures, then take a look at year-over-year trends. For instance, how did your sales compare in 2011 versus 2010? Then try to find similar figures for your industry and online retail spending overall. For example, comScore reported that online retail spending was up 15% during the holidays in 2011, when compared to 2010. How do your sales figures from last year compare to the growth trend of online retail overall? Once you gather that data, you will not only know the growth or decline that your business saw in 2011 versus 2010, along with specific product sales that led to that growth or decline, you will also be able to see how you stack up to the industry as a whole, which is important because it will help you to more accurately forecast sales based on industry predictions for this year. An important thing to keep in mind is what’s happened since last year. How do your sales so far this year compare to the same period last year? And what’s driving the growth or decline you’ve been seeing this year? Ramped up marketing efforts? New products? Better service? The more data you have, and the better you can be at determining what’s behind the data, the more accurate you’ll be with your sales forecasting for this year, which is an important part of making sure you’re prepared internally, and with suppliers. We’ll talk more about that, but for now, let’s talk about something else that’s important to consider…your marketing plans. Which marketing channels brought in good sales (PPC, email marketing, affiliates)? And which did not? What was the cost-per-sale (CPS) you paid per marketing channel? What’s your CPS goal this year by channel? What sales channels brought in the most revenue (your eCommerce site or other online marketplaces)? What new sales/marketing channels can you explore this year? Perhaps last year all of your sales came from your own web store. This year, consider other marketplaces, such as Amazon or eBay, which can be a great way to extend your reach and sales. Getting set up within these marketplaces can take time, so if you’re not there now and you want to be, now’s time time to put the wheels in motion. 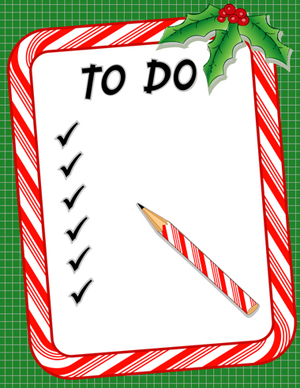 As you’re developing your 2012 holiday marketing plan, also consider any special promotions you want to run. An important one to consider is free or reduced shipping. Since most online shoppers seek out shipping deals, especially during the holidays, this will help you to remain competitive. Check out the article, How to Offer Free Shipping Without Going Broke, to get ideas on cost-effective shipping promotions you can run this holiday season. As an online seller, you may also want to participate in Free Shipping Day 2012, which falls on Monday, December 17th this year. Free Shipping Day is a way for online merchants to get added exposure by offering free shipping on all or certain orders. Last year, over 2,000 online retailers participated in Free Shipping Day, and it attracted hundreds of thousands of online shoppers. On countless occasions in the past, webmasters have not been prepared to handle traffic surges to their websites, and as a result, their websites have crashed or significantly slowed down to the point that they’re virtually useless. This holiday season, don’t underestimate the level of traffic you may get. Make sure your website’s server is prepared to handle the increased load, because the last thing you want to have happen is to get a big spike in traffic and would-be orders, only to have it all come crashing down (literally). Also consider back-end technology used for inventory management, order processing and fulfillment. As an example, if you’re planning to expand into new sales channels, make sure you have the technology in place to seamlessly process and fill orders from multiple channels, and ensure that you’re constantly up-to-date with inventory counts. According to a comScore study from February of this year, the two most important things that online sellers should do to improve customer satisfaction are, 1) Have a clear and lenient returns policy, and, 2) Make returns and exchanges easier. Now is a good time to reevaluate your returns policy and make sure that it has all the information needed, and is extremely easy to understand. If you don’t already, you may also consider offering free returns or exchanges during the holidays. Doing so will instill added confidence in buyers, and remove another potential obstacle for website abandonment and lost sales. Getting back to forecasting sales, one of the biggest advantages of doing so will be determining how much inventory you will need, and help prepare your suppliers and vendors well in advance. Contact your product manufacturers and suppliers now to confirm crucial deadlines for inventory orders in order to prevent back orders. Ask if any items are currently low in stock or if they expect any shortages this holiday season. Also inquire about special pricing during the holidays. Sometimes these deals aren’t heavily advertised, so it’s a good idea to ask. If you handle your own order fulfillment, make sure you stockpile supplies in advance, including boxes, jiffys, fillers, paper, toner and labels. Sellers often find that there’s a shortage of postal supplies if they wait too long, so stock up on those as well. If you don’t do it yourself and instead use an outsourced eCommerce fulfillment center like EFS, this is of course something you don’t need to worry about, as their services will scale nicely with the ups and downs of your business. By planning ahead and thinking of all the “what ifs” you can think of, you’ll be a much happier camper this holiday season, and as importantly, so will your customers.